Deloitte representatives have the ability and expertise to partner with Beta Alpha Psi in a variety of ways. Professionals can make presentations at student chapter meetings ranging from career advice to technical topics ranging from current business trends, technical topics related to auditing, taxation, advisory and management consulting and the professional services industry. Deloitte representatives can also provide insight into the recruitment and hiring process, career development, including soft skills, interview preparation and resume critiques. 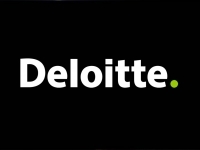 Additionally, Deloitte has sponsored the Best Practices Competition since 2001, which takes place at the regional and national Beta Alpha Psi competitions. Student chapters can utilize the professional partner representative as a resource to answer questions regarding these BAP competitions. At Deloitte, you can have a rewarding career on every level. In addition to challenging and meaningful work, you'll have the chance to give back to your community, participate in a range professional and personal development initiatives and get the support, coaching, and training it takes to advance your career at out state of the art facility Deloitte University just outside of Dallas. Scott McQuillan is the National Campus Recruiting Leader for Audit and Enterprise Risk Services (AERS) and Tax for the Deloitte US Firms. In this role, Scott is responsible for the oversight of the recruitment strategy and operations for over 4,500 full-time and intern new hires annually. Scott has had a variety of roles during his tenure with Deloitte. Scott started in the Detroit office where he served as a local office recruiter, recruiting manager and regional recruiting leader. 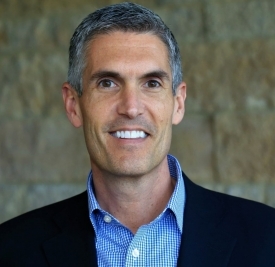 In 2004, Scott relocated to the Chicago office where he served as the regional recruiting leader overseeing all campus and experienced hire recruiting efforts for the Midwest region of the US. In 2007, Scott worked in the Hyderabad, India office and served as a project leader to help build the US firms India operation recruiting strategy that focused on process, systems implementation and employer branding. Prior to joining Deloitte, Scott had five years of experience working in higher education in college admissions, careers service and academic advising roles. Scott is a graduate of Central Michigan University where he received his Bachelor of Arts degree in Human Resources and Communication as well as a Master of Arts in Educational Leadership with an emphasis in College Administration.